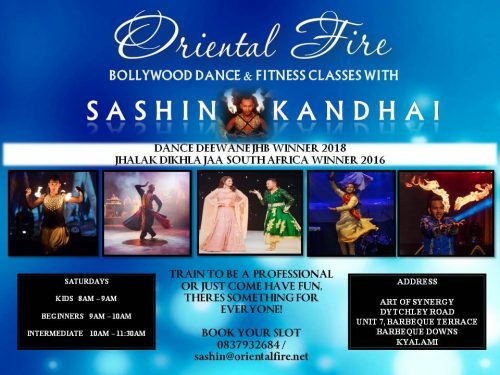 Oriental Fire is a collaboration of dancers from all over the world who share a passion for Belly Dance and Bollywood and wish to share the beauty and energy of these amazing dance forms and the cultures they come from. As seen on Saffron TV, Eastern Mosaic, Sizzle, East N Style, Mela, MTV Africa and live on eTV! Your performance was out of this world! The way you captivated the entire room!! 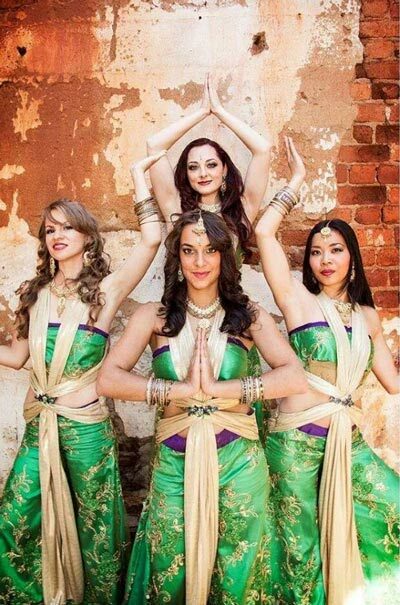 We had the pleasure of seeing Oriental Fire performing at a Bollywood themed function and they were amazing. The whole show was awesome and can be highly recommended. Friendliness from her whole team. Thank you. Your dancers performed incredibly and definitely had the audience in their hands, Thank you for making sure our theme came alive. The girls looked awesome and authentic and drew lots of praise and applause. Hi Tina, thanks so much for the lovely dancers the gals were amazing and really rocked the party! The guests and I were totally amazed! Wow ..thanks again! I would like to thank you all for making the 2016 New Year’s Eve party such a huge success (This year was the best one yet)! You guys truly brought in the new year with a BANG! Big ups to you all! 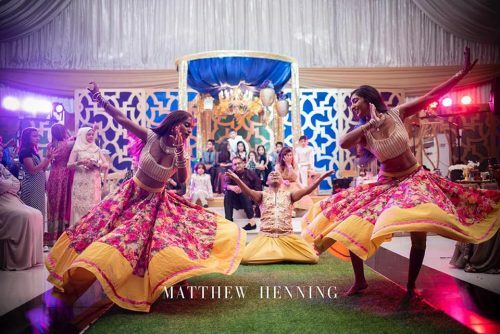 We offer professional dancers for all events including concerts, Mendhi nights, Geets, kitchen teas, birthday bashes, weddings and corporate functions. 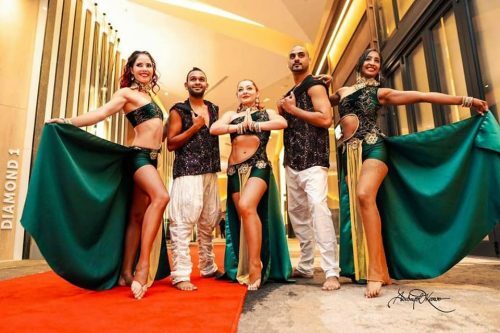 Contact us for tailor-made packages that perfectly suit your event and is guaranteed to have your guests raving about it long after the show has ended. 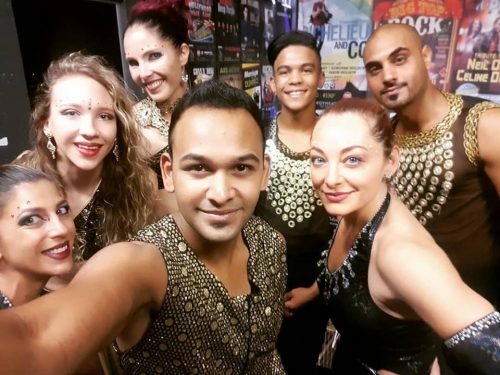 We’ve performed for up market fashion shows, festivals and launches, large scale corporate and private functions including performing with many local and international celebrities. We look forward to helping make your party unforgettable! Don't wait - hire us today! UV – Holi in the Dark, a Mendhi show with over 1000 guests and a stunning showcase with cube, Bollywood..
2019 is firing on both cylinders with so many stunning pre-wedding events, corporate functions, launches and media/event days. We were.. So many fun shows in February just catching up our posts now. 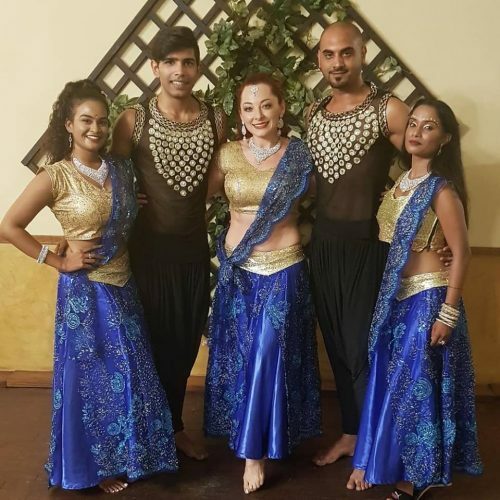 Loved performing again for the MIC Mauritian Hoteliers..
February was one of our record months and a wonderful way to start off the year! Lots of weddings and..
Come join our weekly classes at Art of Synergy in Kyalami! Get fit the fun way! Tuesdays- Belly Dance Beginners..
2019 has kept us on our dance toes. Lots of fun events from corporates to weddings and even a magic..